It is now commonplace to hear people say the EU is embroiled in an existential crisis. Indeed, Brexit may mean the process of EU disintegration has already begun. However, while much political and journalistic attention is centred on describing the EU’s woes, far less attention is being paid to what the consequences of a disintegration would actually be. This book fills that gap. 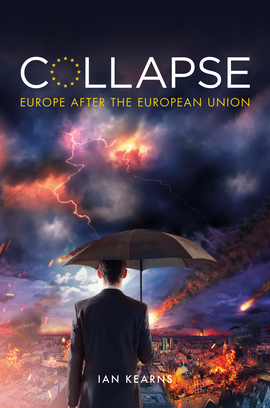 From the terrorist and migration crises facing the Continent to the new threat from Russia, and from the Euro’s unending fragility to the rise of a new, Eurosceptic politics, this book tells the story of the biggest crisis to hit Europe since the end of the Second World War. It makes clear just what is at stake. With the EU in a far more fragile state than many realise, the book sets out the specific scenarios that could lead to the European Union’s collapse. It charts the catastrophic economic, political and geopolitical developments likely to follow should such a collapse occur. And it offers bold solutions to challenge those in positions of authority to build a new, reformed union, one capable of riding out the storm and of positioning Europe for success in the remainder of the twenty-first century. Drawing on the author’s extensive network of senior political, diplomatic, military and business leaders from across the Continent, the book tells the story of Europe’s super-crisis from within. Both an urgent warning and a passionate call to action, it seeks to defend not just the EU but the seven decades of peace and progress the union represents. Brexiteer or Remainer, this thoughtful and provocative book is a must-read for all those who prize a stable and secure Europe. It’s not a given. Ian Kearns explains why, and what European leaders need to do now to avoid potential disaster. Ian Kearns writes with clarity, courage and conviction and he has written a book that deserves to be read. Though a warning, not a prediction, its central case – that the EU could collapse if not further reformed, and that such a collapse would be a disaster of enormous proportions – is all too believable. Someone once said, ‘The foolish predict hoping blindly to avoid disaster, the wise warn what must be done to avert it.’ Ian Kearns provides a warning. An important and necessary book which deserves to be widely read and deeply thought about. We live at a remarkable time in history. We are one of the first European generations in history to escape the conflicts that endlessly beleaguered the Continent. We take it far too much for granted. This book warns us in readable, intelligent terms about the other side of that peaceful, prosperous coin. Ian Kearns spells out the internal and external threats to Europe’s complacency and, with clarity, spells out what needs to be done to avoid disaster. Here is a timely warning we cannot afford to ignore.